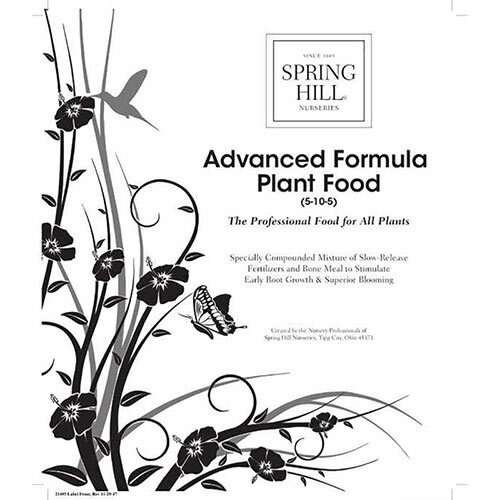 Our plant professionals have developed a special Advanced Formula Plant Food ideal for promoting healthier growth and more profuse blooming of your plants. 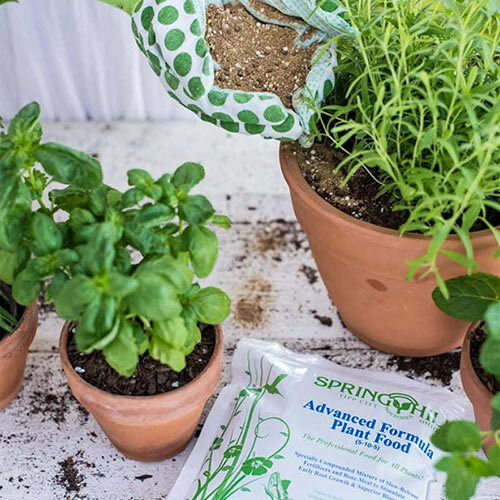 It's a specially compounded mixture of slow-release fertilizers and bone meal that is easy to apply and assures the proper diet for all types of plants. 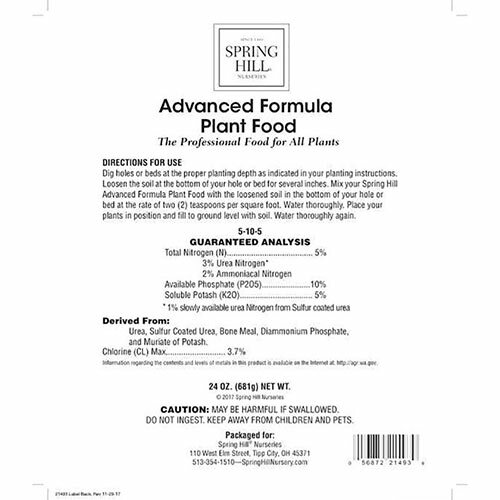 While every plant we ship is guaranteed to grow without the addition of nutrients to the soil, this special 5-10-5 formula plant food is highly recommended for superior growth and blooming. Covers 75 sq. ft. or 30 to 45 plants. 24-oz per package.